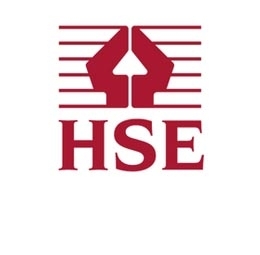 A Cheshire cheese manufacturer has been fined for safety failings following an HSE prosecution after a worker injured his leg and ankle when he fell from the forks of a forklift truck during an unsafe loading operation at Joseph Heler Ltd, in Hatherton, near Nantwich. Chester Magistrates’ Court heard that the injured worker, a 53-year-old from Crewe, had been helping to load cheese onto a wagon so it could be delivered to a customer. He was being lifted up to the wagon, with one foot on each prong on the forklift, when the forks hit the back of the vehicle and jolted. He fell around a metre to the ground below, suffering cuts to his left leg and multiple fractures to his ankle. A HSE investigation found it had become common practice for people to be lifted on forklift prongs. Despite this being illegal, the company had failed to identify it as an issue. The Court was told that no risk assessment had been carried out for the work and no other method for accessing the wagons was available. Following the incident, the company provided steps to reach the back of the vehicles, and it has since changed the way it prepares deliveries altogether. Joseph Heler Ltd was fined £8,000 and ordered to pay £709.15 in prosecution costs after pleading guilty to a breach of the Health and Safety at Work etc 1974. Speaking after the hearing, HSE Inspector Jane Carroll said: “The injuries suffered by the worker could easily have been life-threatening had he struck his head when he fell. “His employer regularly allowed workers to stand on the forks on forklift trucks, despite this being illegal and posing a clear risk. Joseph Heler failed to give its employees any guidance on how they should access and load the wagon, and failed to put systems in place to make sure the risk of injury was minimised.